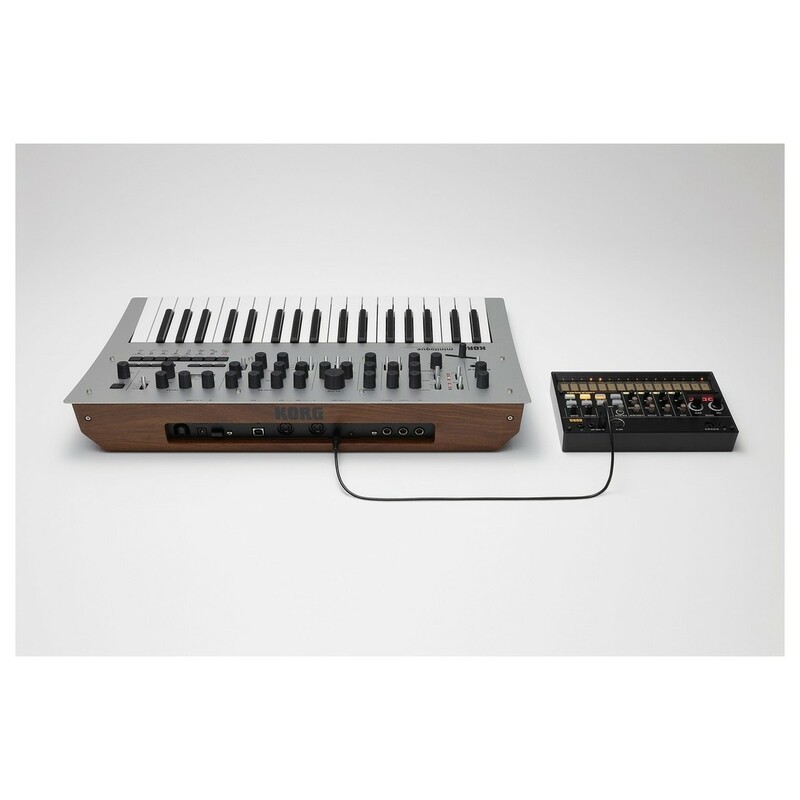 Compact Minilogue synth bundle with Decksaver cover. 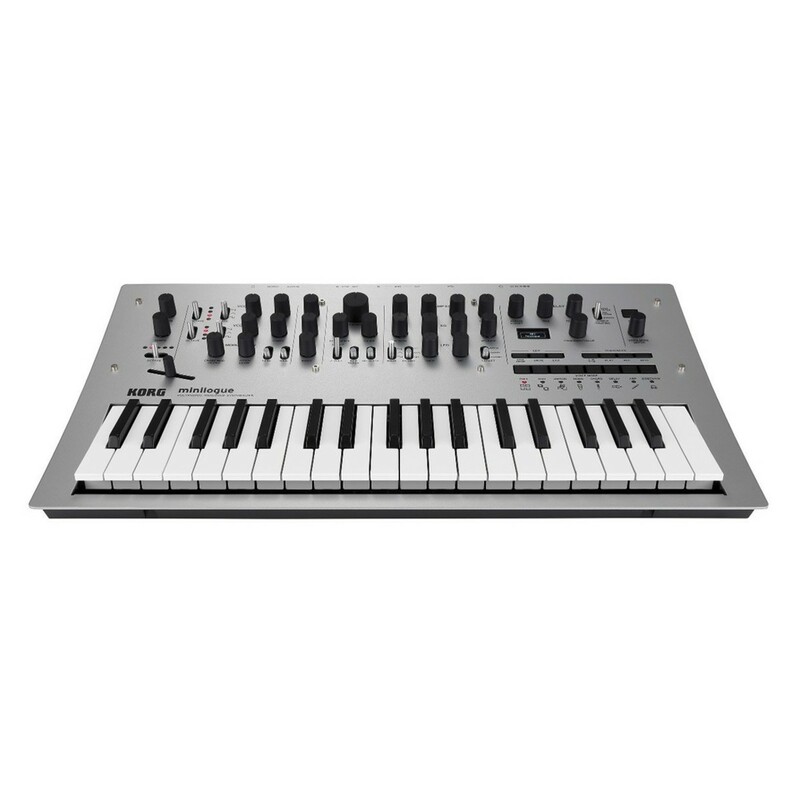 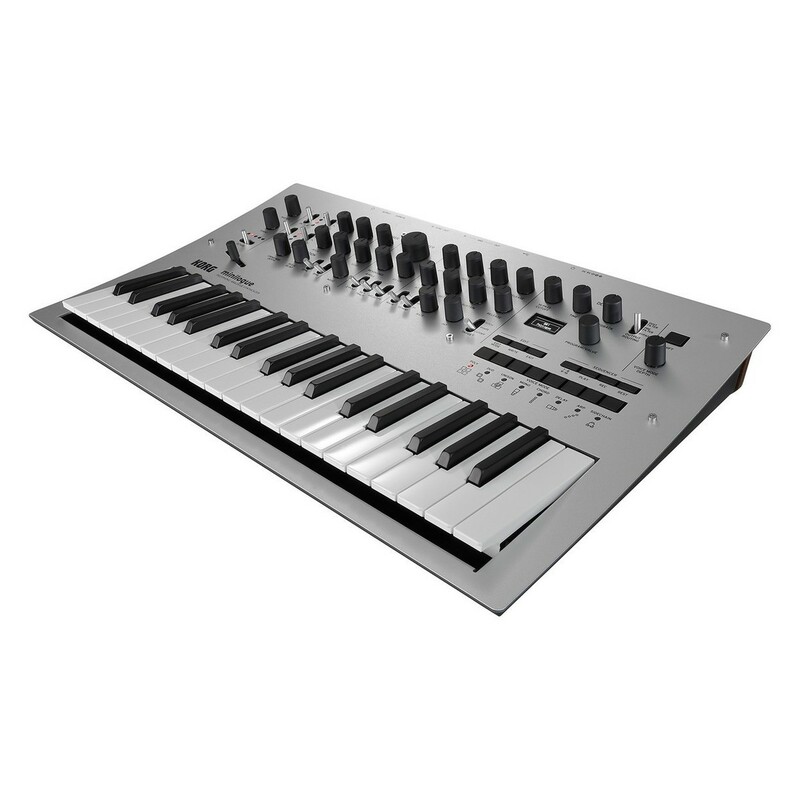 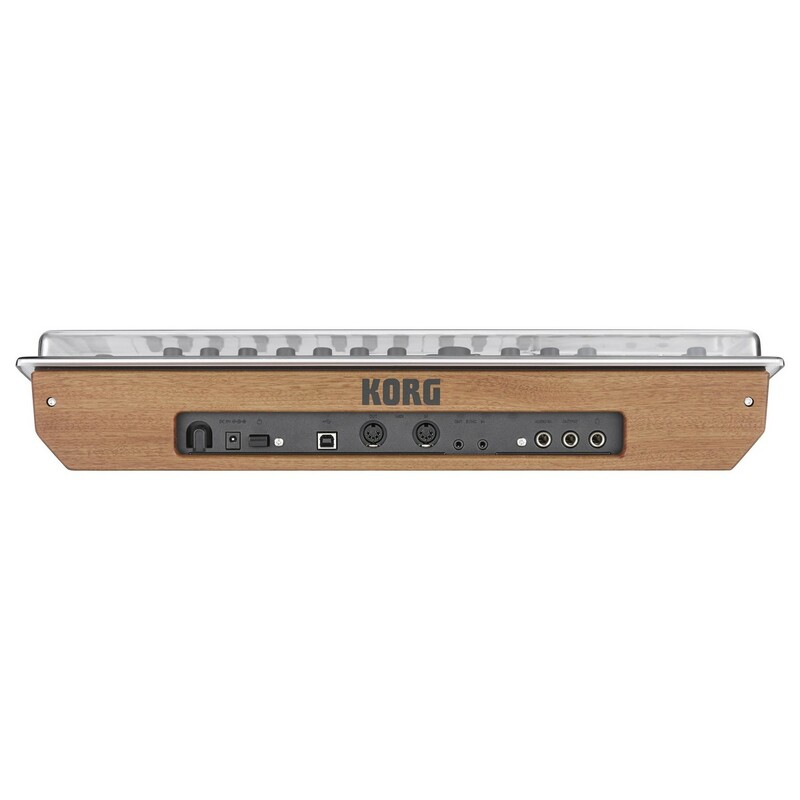 The Korg Minilogue Polyphonic Analogue Synthesizer is a versatile four-voice analog synthesizer housed in a stylish aluminium top panel. 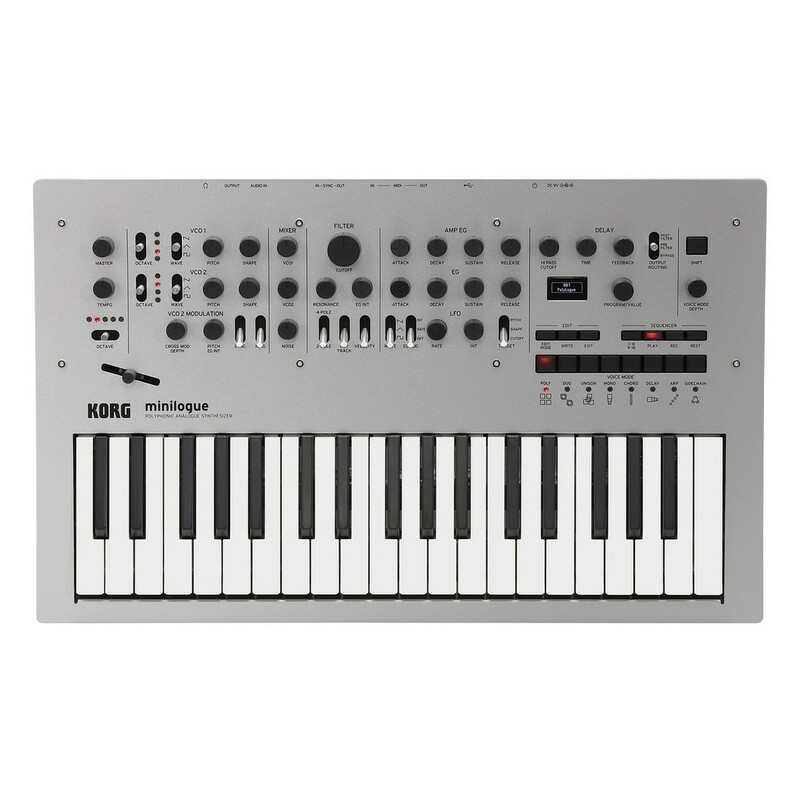 This 37-key fully programmable analog polyphonic synthesizer boasts 200 program memories, an Oscilloscope function that show the waveform visually, plus compatibility with a range of connections such as MIDI, USB MIDI and Audio Sync. 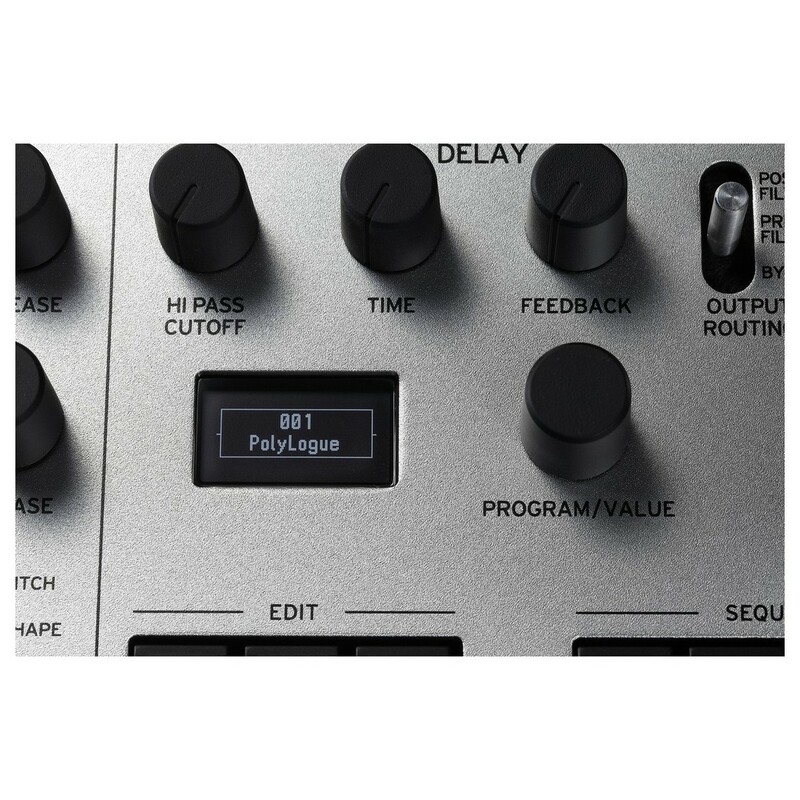 The Minilogue also features an automatable 16-step polyphonic note and motion sequencer giving you a multitude of options when it comes to creating and moulding your sound. 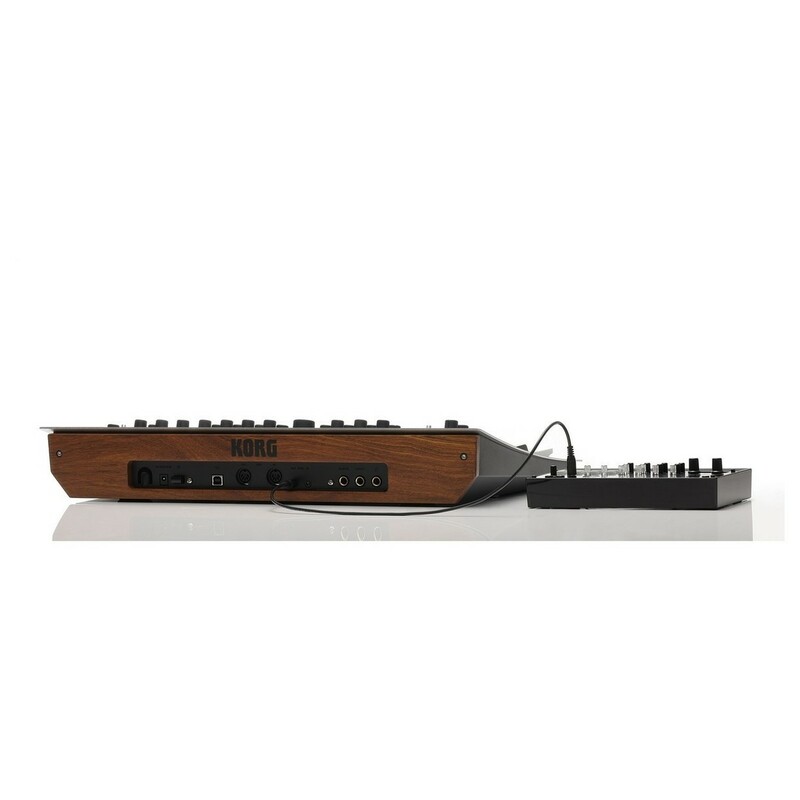 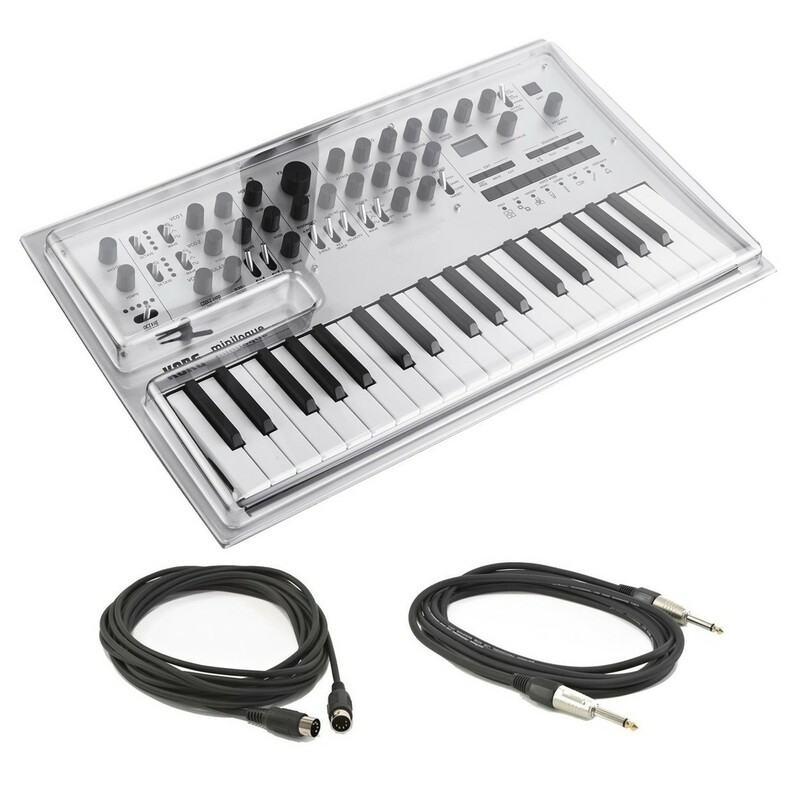 Additionally, the Minilogue comes complete with a MIDI cable and a jack cable, as well as a Decksaver cover to keep your instrument protected on the move. 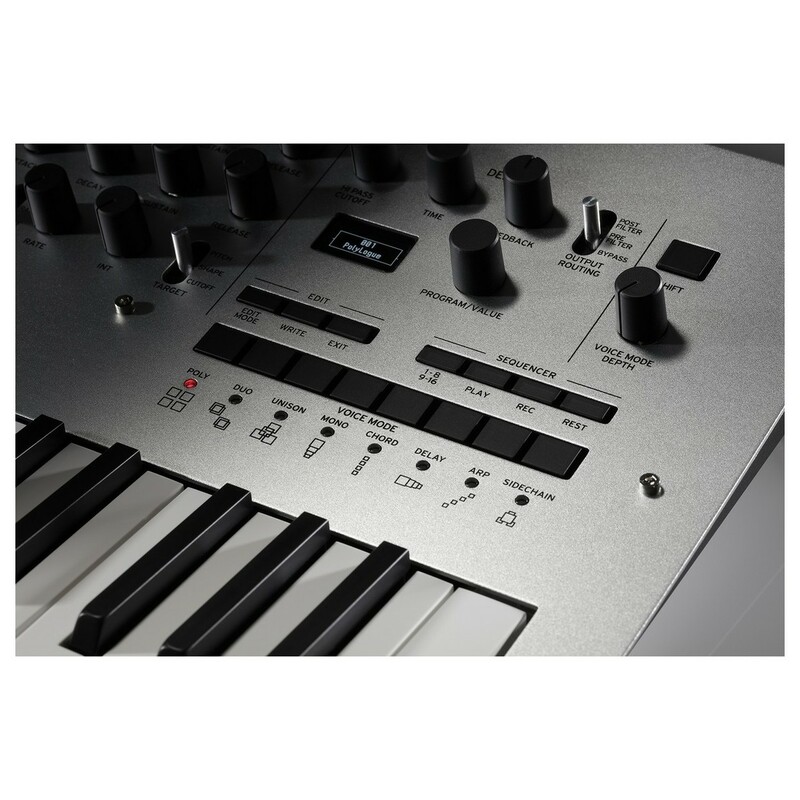 New Sound Packs: Sound Packs Vol. 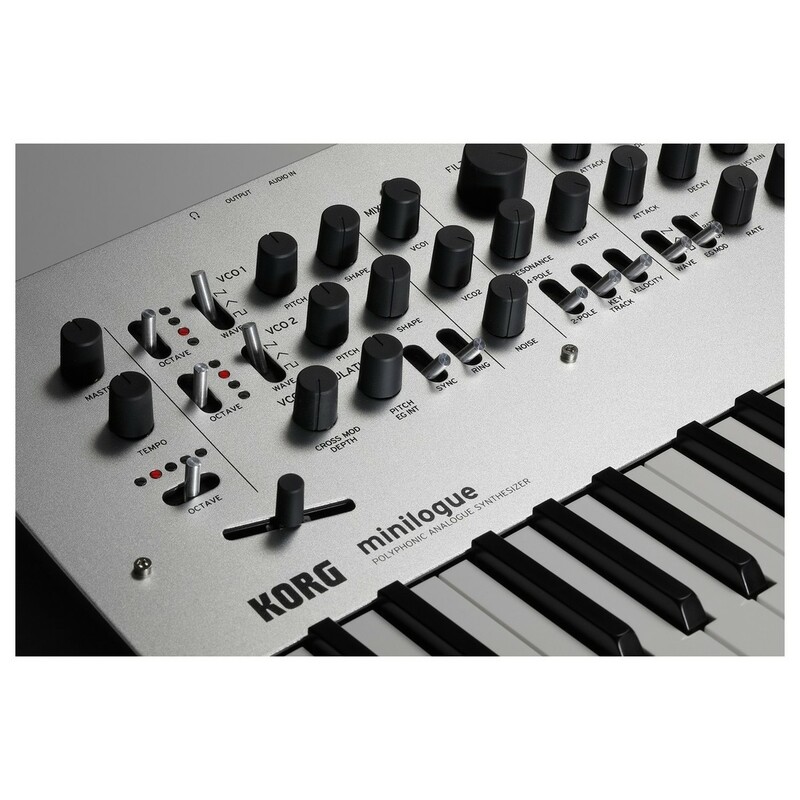 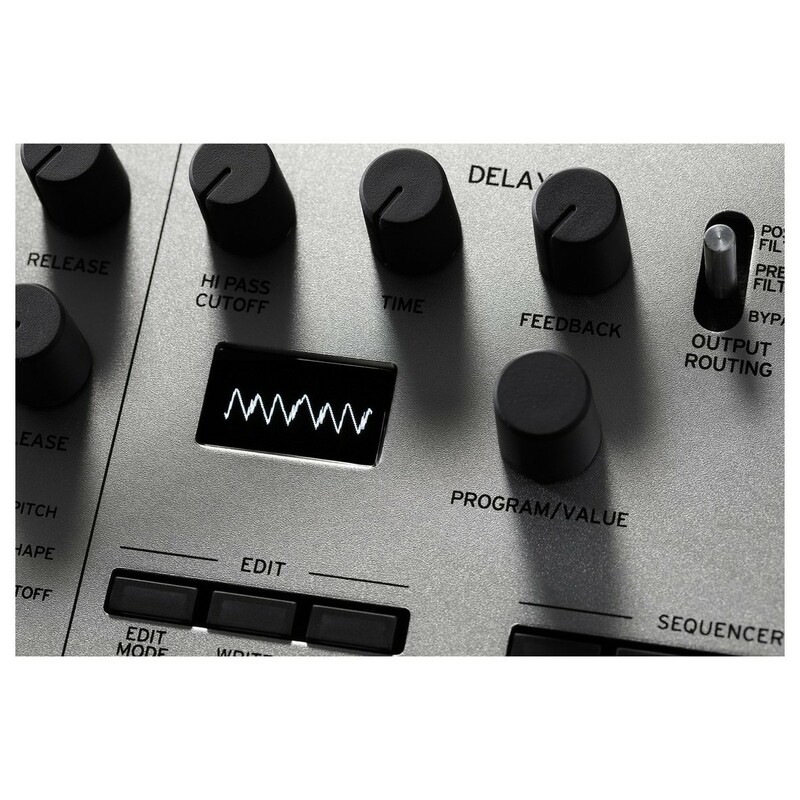 1 - 3 now available from the official Minilogue webpage. 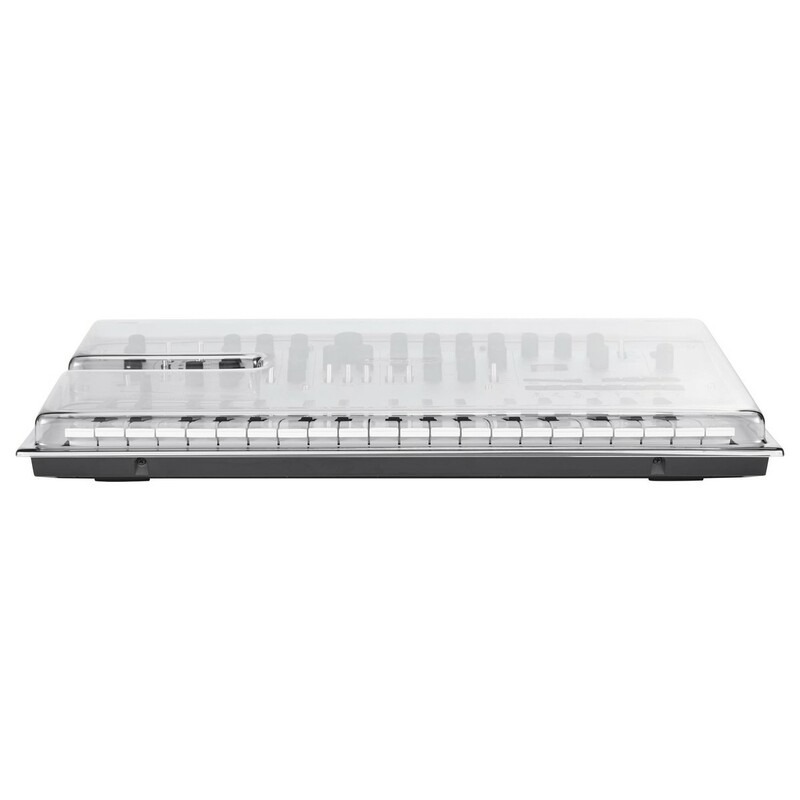 The Decksaver Korg Minilogue Cover protects internal components from damaging elements such as smoke, dust, liquids and impact. 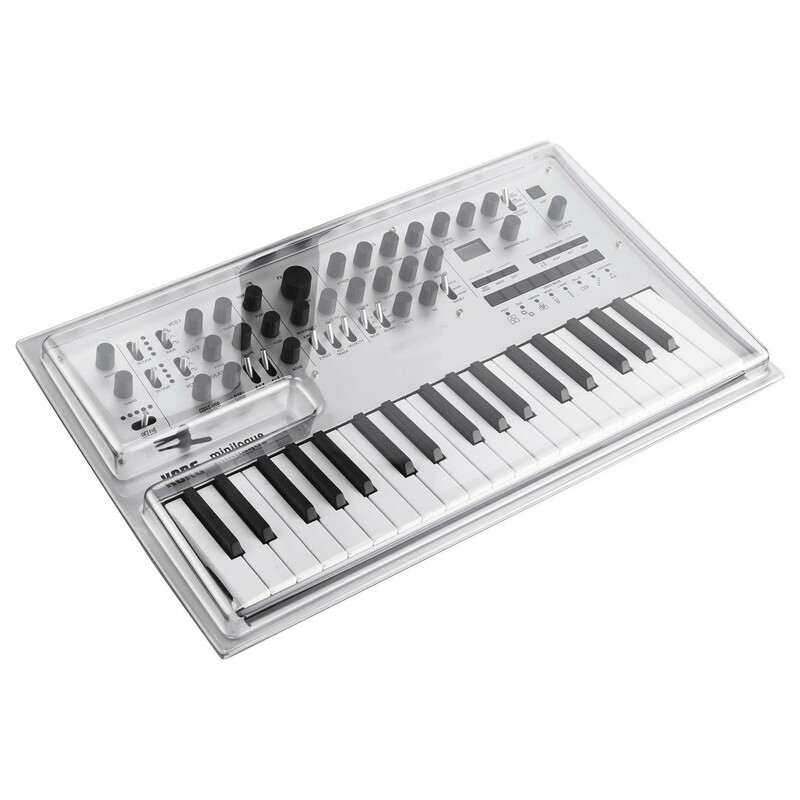 Delicate keys and controls are protected by the clear external shell in close proximity which allows you to transport the keyboard in a flight case or padded bag, this improves protection during transportation.